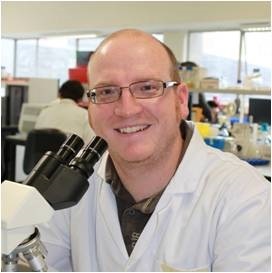 I am currently a Lecturer in the School of Natural Sciences at Bangor University. Prior to my appointment in 2010 I did doctoral and post-doctoral research in the Department of Zoology at Oxford. I have a broad range of research interests, mainly focused around the role of gene and genome duplication in vertebrate evolution. Current models for this research include desert rodents, cartilaginous fish and venomous snakes. Follow the links for more on my research, teaching and publications (including preprint versions of submitted manuscripts). I’ve been awarded a Leverhulme Trust Research project grant for more work on the gerbil genome – the most interesting genome in the world! This grant will fund analyses of GC-rich DNA and weird chromosomes. Postdoc advert coming soon. A paper on our Mongolian gerbil genome map and X/Y chromosome assay has just been accepted to Mammalian Genome. This paper includes work from some undergraduate and postgraduate project students. I’ve just been awarded a small grant from the British Andrology Society to investigate sperm chemotaxis and ovarian asymmetry – another gerbil project spin-off! As part of our project to map the gerbil genome, we’ve shown that they are not as inbred as previously claimed, whilst supposedly outbred hamsters actually have very little genetic diversity! Our paper on the Fat sandrat (Psammomys obesus) genome and its weird Pdx1 gene has just been accepted for publication by PNAS (preprint available on bioRxiv). Could this be why it gets diabetes? I recently won a competition run by Dovetail Genomics for a free genome assembly, and they are currently generating libraries for a painted saw-scaled viper (Echis coloratus) genome! Their ChicagoTM Method offers the potential for some really great long-range data, making for a much more useful assembly. I’ve been awarded a Leverhulme Trust Project grant to generate a linkage map for the Mongolian gerbil (Meriones unguiculatus). We’ve recently shown that snake venom toxins evolve via the duplication of genes that were ancestrally expressed in the salivary or venom gland, with subsequent restriction of one copy’s expression to the venom gland. 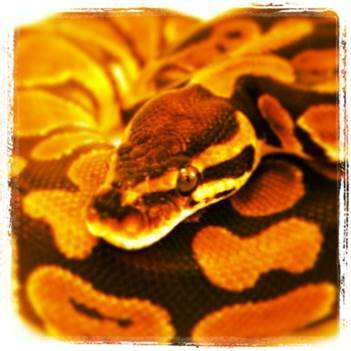 This is contrary to the long-accepted view that venom toxins were ‘recruited’ from other body tissues. Our analyses of venom and salivary glands and other body tissues for a number of reptile species have also cast doubt on the idea that venom evolved once in reptiles. See my publications page for more detail.